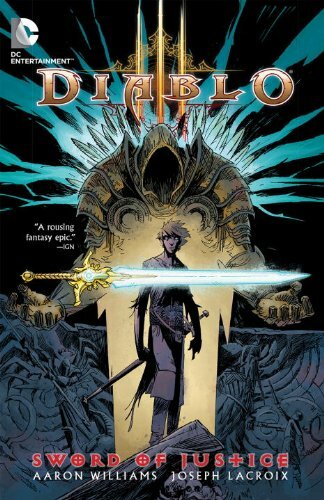 The DC Comics Diablo: Sword of Justice is coming back as a paperback or graphic novel. If you didn’t have the chance to read the 5-issues comics last year, you can get it now at a special pre-order discount — only $10.67. Diablo: Sword of Justice is written by Aaron Williams and penciled by french artist Joseph Lacroix. Check out the interview with Aaron Williams and Joseph LaCroix.